Karen Sue Carlson always enjoyed experimenting with new flavors and sharing her culinary treats with her friends and families. Spending time cooking and creating new dishes was the best way for her to relax and unwind after a busy day in her real estate office. After 17 years of working in the real estate market, Karen Sue wanted more. In 2005, when the market first showed signs of declining, she began to look at her future and realized she needed to explore other career options. She spent the next several months investing in her dream. And in 2005, Karen Sue started KC Seasonings, a company dedicated to creating robust flavors with Steak and BBQ Seasoning. It did not take long for Karen Sue to realize there were other products she wanted to pursue, and no longer would KC Seasonings be able to encompass everything she wanted to do. CopperLeaf Gourmet Foods was founded in 2007 as an outpouring of Karen Sue’s vision of what her thriving business could be. Karen Sue’s unique ability to blend flavors has transformed a small seasonings company into a diverse gourmet foods business. CopperLeaf Gourmet will take your food from every day to delectable delights. 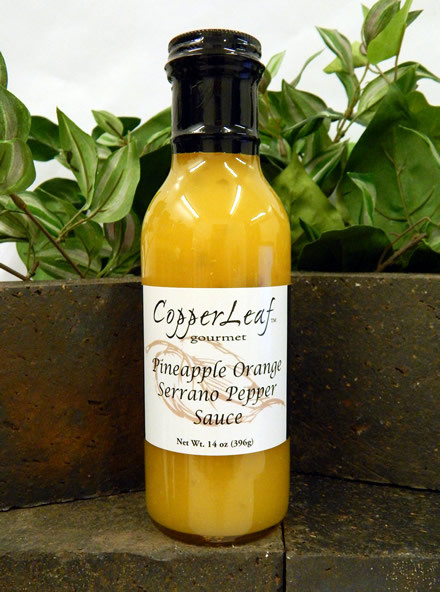 With seasoning blends, pepper jellies, dip mixes and sauces and more CopperLeaf Gourmet has something for every taste.